Hawaii is one of the world’s top travel destinations and one of the few places where you can enjoy breathtaking views, gorgeous sunshine and warm temperatures nearly every day of the year. When you stay at the Wyndham Kona Hawaiian Resort, you'll have the chance to experience all those great benefits anytime that you want to travel. 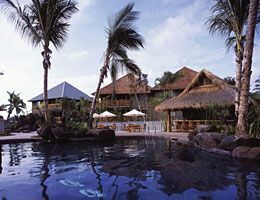 Find out about the rooms, the amenities and all the fun activities available as you start shopping for a Wyndham Kona Hawaiian timeshare for sale or rent. The Wyndham Kona Hawaiian Resort offers two different types of rooms: deluxe two bedroom suites and presidential two bedroom suites. Both suites come with a private patio or balcony, a washer and dryer in the unit, a whirlpool tub and wireless Internet access. Though deluxe rooms can sleep up to six, suites can accommodate four guests comfortably. Separate bedrooms off the main living room give you all the peace and quiet that you will need on your trip. As an added bonus, all rooms come with fully equipped kitchens with a coffee maker, refrigerator, microwave and stove. As you plan to buy a Wyndham Kona Hawaiian timeshare for sale, get an idea about all the great things you can do at the resort. In addition to amazing views of the ocean that you can enjoy right from the deck or balcony of your suite, you also have two pools and two hot tubs where you can relax and enjoy your stay. An outdoor swimming pool designed just for kids will keep your little ones happy and excited and the resort also has a picnic area. You can enjoy the views and the sounds of the waves crashing against the shore as you share a meal together. 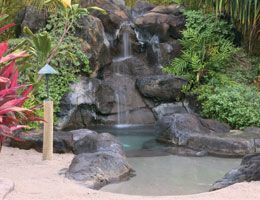 Wyndham Kona Hawaiian Resort has a convenient location near some of the best attractions and activities on the island. 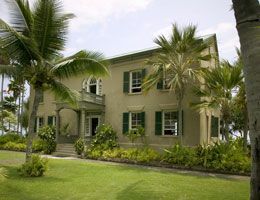 Head over to Hulihe‘e Palace to see the former home of Hawaiian royalty and browse the artifacts on display, or visit Hawai‘i Volcanoes National Park, which is home to many hiking trails that let you hike around a real volcano. When you buy a Wyndham Kona Hawaiian timeshare for sale, you'll be close to the island's top attractions on your next vacation. 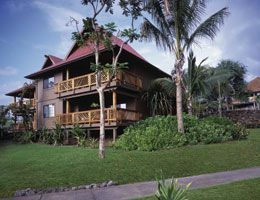 Contact Wyndham Kona Hawaiian Resort Specialist Today! Upon arrival at the resort we were greeted with friendly, cheerful and cooperative staff that possessed great personalities which made your stay pleasant and extremely enjoyable. The resort has outdoor pool and hot tub and a family barbecue area. The rooms were spacious with a kitchenette that included all the essentials of a modern day kitchen with all the amenities you could imagine. The family room lounge area was equip with a large flat screen TVs which had great reception, quality picture and multiple channels to choose from for you enjoyment pleasure. The patio was large and offers a great view of the beach from the room. Different excursions available during your stay like parasailing, jet skiing, tours shows and many other entertainment close to the resort. The tennis court in good condition and fun to use when we weren’t swimming. There were several different shops on the strip for excellent souvenir shopping which also stays open late in the evening. There were so many restaurants on the strip to choose. It was a very great experience, anyone wanting to get away from home but have all the pleasures, this is a must visit and stay resort. How many people liked the review ?